When you’re at home, you want each room to be comfortable, no matter if it’s the living room where you relax and watch TV, or the bathroom where you shower and get ready in the morning. If it’s too warm or too cold in the house, then your comfort level can quickly change. At Absolute Comfort, we can provide HVAC service and repair when you need them most, no matter if it’s the middle of February or the end of July. You want your heating and cooling systems to run smoothly every time you turn them on, but the fact of the matter is that you’ll likely encounter an issue with them sooner or later. When your furnace or air conditioner isn’t working properly, we’ll be there to take care of the issue, no matter how major or minor it may be. We can also provide routine maintenance for your HVAC systems that can help prevent serious problems in the future. 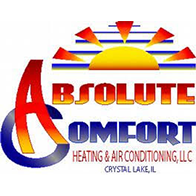 If you’re remodeling your house or your HVAC system is simply outdated and inefficient, then let Absolute Comfort help you find a suitable replacement. 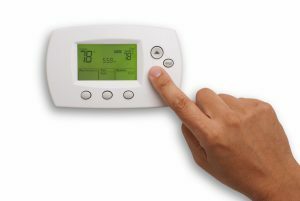 We know how to size and install your new furnace or AC, and we’ll make sure everything is connected and optimized for peak performance and efficiency. What we want most of all is for you to be satisfied with your new system! If you live in Cary and you need HVAC service or repair, then please contact us right away. 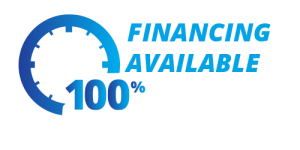 We have financing available for new systems, and we offer 24-hour emergency service for those issues that simply can’t wait until morning. You can call us at (815) 893-9276, or you can fill out the form below and a member of our team will respond as soon as possible.